Home :: Blog Home (Modify in xCMS Settings) :: Blogs :: Freshers Partying Begins!! The frantic weekend of settling my son into University is now over and his partying has begun. 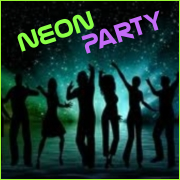 it all started last night with a Neon Party which together with his friends they were all very excited about. When I spoke to him they were busy preparing themselves with various coloured Glow In The Dark Hair Gel and putting together their Glow In The Dark Glasses. There were also going to be loads of Glow In The Dark Necklaces and Bracelets handed out once they were at the party, maybe their drinks were also going to be in Glow In The Dark Glasses . I am sure a good time was had by all....I don't know, not heard yet!!!! Have you or your son or daughter started Freshers week and partying yet? Please let us know how its going. Comments on Freshers Partying Begins! !